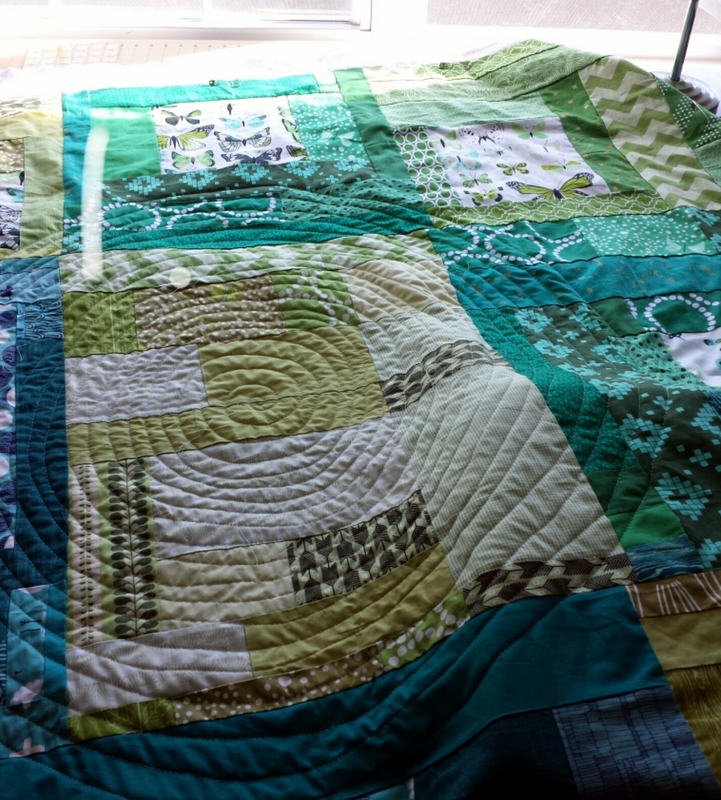 I like how the Butterfly print pulls in all the colors and coordinates across the quilt in the same way the spirals ripple out and interconnect the quilt. Lovely! I am sure the recipient can feel your love through it. 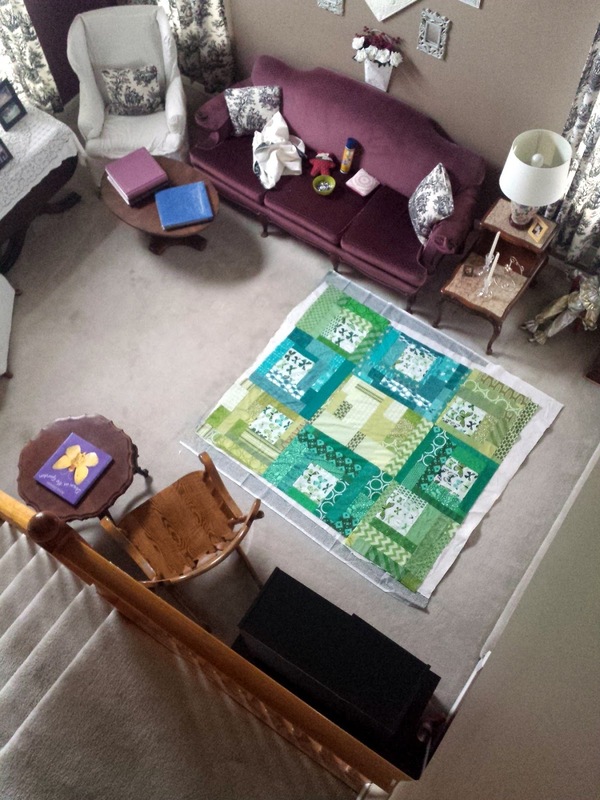 Pretty and the quilting is the perfect touch! Very pretty.. and I love your quilting pattern you chose. You MUST really love the recipient. This one would be hard to give up. Yikes. This quilt is soooo wonderful. lol just kidding. But not in the matter of the beauty that this quilt expresses. It's a beautiful quilt. I might be inspired to try more improv myself, with a focus print like this to start it off. I love this so much! I think the blocks are gorgeous. So many design possibilities. So great! What a fun use of the butterflies and I love the quilting! I'm so glad that your recipient loves her quilt, it's beautiful. I love the whole color scheme, but I think the teal blocks are my fav too :) I'm definitely going to steal that quilting motif for a scrap quilt I need to finish up.